A joint album with the Northeast/Mid-Atlantic region has been created. Link is below. Ok, I need some help from someone with a little more knowledge than me. Both of these are for the FV3 GFS for Hr. 162, one from Tropical Tidbits and one from Pivotal Weather. How are the amounts so different, especially in Ohio? Counts sleet as snow on ttb. Euro looks really nice. Beautiful gradient and cold air. That would be a heck of a lot of sleet in Ohio then! Euro basically a repeat of todays snow zones but stronger and higher amounts. Can’t post on phone. 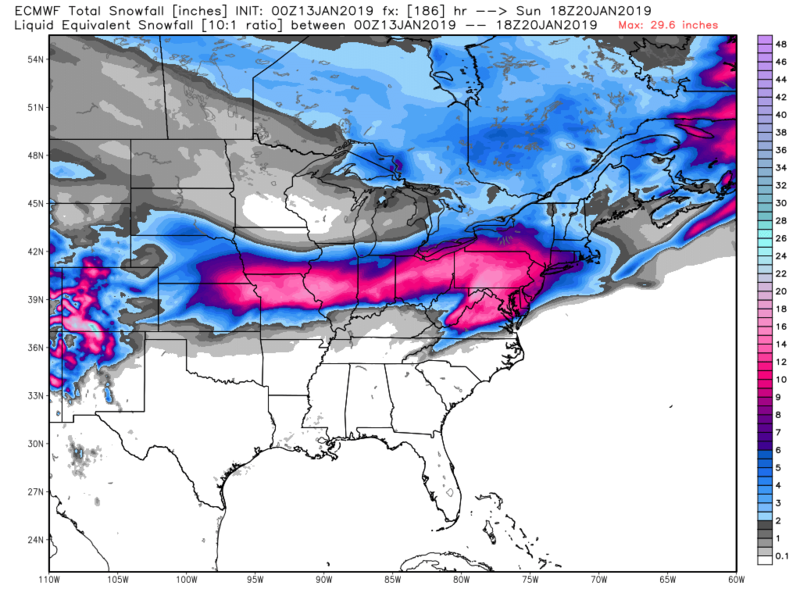 Said this a few days ago and I'll say it again... watch out for suppression here... the Euro images Central Illinois posted demonstrates that well. It's not suppressed on this run, but the way that strong high is positioned freaks me out. Haven't had one of those for a while! Lol there are quite a few Euro member runs that would make everyone here happy and also history. Check them out if you want to salivate. Member 30 please. Oh Euro. As is often said, tracking this will be interesting. If I am to miss, I rather miss on the cold side. I rather not have rain. The text IMBY are pretty wild. Kind of a best case scenario for wintryness. Oh Euro. As is often said, tracking this will be interesting. If I am to miss, I rather miss on the cold side. I rather not have rain. The text IMBY are pretty wild. Kind of a est case scenario for wintryness. How do the euro ensembles look? Pretty consistent in track/strength? Tuesday night as low levels moisten under a strengthening inversion. into the Lower Great Lakes hints at the threat for patchy drizzle. wintry mix by around Thursday-Friday AM. Yeah, I'll post just this one more since this thing is still in model fantasy land..
Oh, heck, Rob. Could you post CMH? Because why not. And thanks much! Wow. It's too bad the chances of that actually happening are so tiny. Because wow. This would be magical. However, I'm not letting myself get excited at this point thanks to what I've learned from you all. It's going to be fun to watch and learn from this point though.